After an operative has visited site they will prepare a written assessment which includes recommended courses of action, detailed analysis of any affected or vulnerable areas and related dry rot treatment costs. You have the freedom to do absolutely nothing with the information, but the ramifications of inaction could result in an incident, a tragedy or legal action. Dry rot won’t magically disappear. The cause of an elevated moisture level must be removed, or repairs effected, prior to dry rot treatment. The healthy timber is chemically treated and is covered under guarantee. 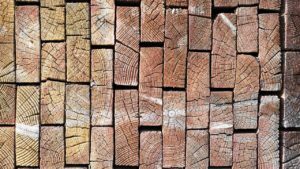 If there are damaged whole timbers or sections, these must be replaced, and treatment administered. From this moment, enjoy peace of mind, with a professional guarantee, that your property is protected. Wood rot specialists are in constant demand because their measures achieve the objectives safely. Call one today to prevent future dry rot anxiety.